When it comes to prominent stories and individuals in trucking, many of the figures in the industry run the gamut in terms of infamy as well as their contributions to the world of driving. Some use the infamy from their trucking job to shed an informative light on a certain aspect of driving that may have been under reported or unappreciated in the past. Rather than being well known for their dastardly deeds or horrific accidents, many infamous drivers have had the supreme opportunity of showcasing their skills in order to inform, educate, and sometimes entertain trucking and non-trucking audiences alike with their true-life stories on the road. One of the most prominent group of drivers to inform and entertain audiences across the world are the Ice Road Truckers. 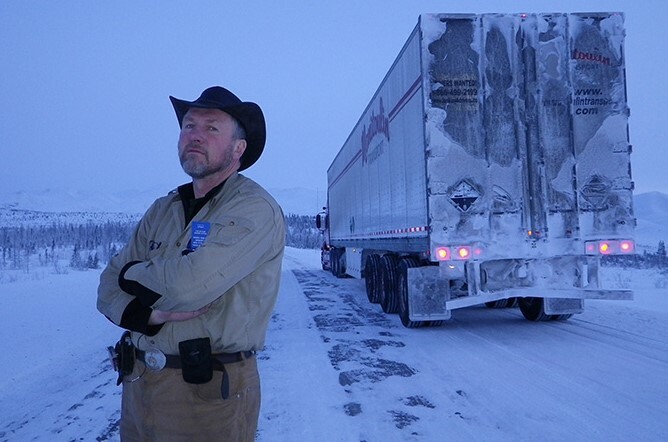 For 10 Seasons Ice Road Truckers opened the eyes of viewers internationally about the realities and extreme peril of the occupation that many consider to be one of the world’s most dangerous jobs. What Are Ice Road Truckers? Before the History Channel show premiered the program about these skilled and experienced drivers, a great deal of the general public found themselves somewhat in the dark about this particular brand of trucking. The American audience was particularly mystified by the spotlight that shined upon ice road trucking. Having been used to drivers in traditional areas of the country like Texas or Illinois seeing the lion’s share of attention, these Great White North drivers were quite a change of pace. Many viewers around the world saw a group of drivers who held an extraordinary truck driving job – defying the norms of working the paved highways and traditional American routes. Instead these men and women tackled the true wilderness of North America, paving their own way to deliver critical and crucial freight to those in need. Ice road truckers, both on screen and off are some of the most die-hard operators in the entire industry, traveling through unimaginably treacherous terrain in order to get the job done. Many of these drivers would quite literally navigate through paths that barely constituted as roads or paths that would make even the most experienced drivers feel terrified. 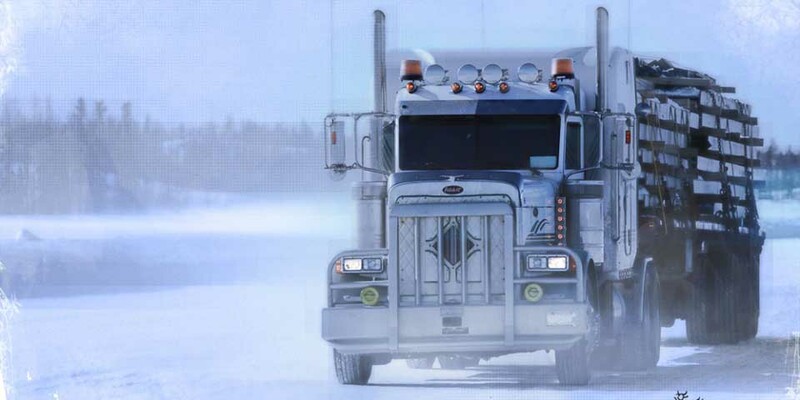 These highly trained and highly respected drivers are counted upon by their clients to brave the extreme temperatures and hazardous roadways throughout Canada and Alaska. These drivers must act with the utmost discretion when behind the wheel and must always operate with the highest level of safety. Ice road truckers aren’t just any type of driver that throws on some chains and heads out into the snow. They quite literally define their own routes and must make decisions that keep themselves safe while preserving the livelihood of the drivers. The profession of ice road trucking is nothing new within the commercial driving industry. Truckers have been operating in the unforgiving and harsh terrains in the northern part of our continent for decades – as long as California drivers have delivered produce to metropolitan towns up and down the coast, so have ice road truckers been fulfilling a particular due diligence within their neck of the woods. However, it was not until nearly a decade ago when History Channel assembled the crew up north when the general public became to know these workers as a household name. Chronicling the lives of Hugh Rowland, Rick Yemm, Alex Deborgowski and other colorful individuals who drive for a living, the television show gained immediate acclaim from critics and fans alike. Viewers enjoyed seeing a realistic and honest view of American workers and the current state in which the trucking realm operates. Watching veterans of the road was an interesting phenomenon to those who had previously held a trucker job, or to those who wanted to know more about the magnificent road masters they have seen on nearby highways and roadways. Tuning in every week to see the unparalleled challenges presented to the drivers was enough to get an enormous audience for nearly 10 years of viewership and cultivating a fan base that became as dedicated as those who were actually driving as portrayed in the program. What Sets Ice Road Truckers Apart From Other Drivers? Perhaps one of the most interesting aspects of the show was not necessarily how the job itself was detailed or even the routes that drivers had to go on (though these could get exciting and made for an appealing part of the program) but rather how the drivers mentally handled their line of work. Every week Rowland and company had to display an incredible amount of mental fortitude on camera, facing the unknown and ensuring that the job was completed in a timely manner all the while. Not only do ice road truckers maintain some of the most impenetrable visual awareness of any profession, they must also frequently combat their own personal anxieties while driving. These drivers must make decisions that are not even considered by other professionals in their field. Having to choose between two separate routes that may quite literally spell life or death is rarely witnessed by other blue-collar workers and is a request rarely issued by many trucking companies in the continental United States. In some ways, these ice road drivers would act as hot shot truckers, outstanding professionals in their field who may literally dedicate their lives to the needs of a client. Unsurprisingly, the extraordinary circumstances in which the ice road truckers worked did not always come without some element of danger. Though Hugh Rowland’s story was perhaps more related to the filming of the program and an error made due to the oversight of the production of the television show, his untimely accident behind the scenes is not the only trouble that the television show faced. It was reported that in 2012 while attempting to film a scene in which one of the truckers was racing to complete a delivery, some of the film crew found themselves in an incredibly perilous position when attempting to capture footage. A report from the day of shooting reveals that the crew had to hang out of a car in the tundra with nothing but a seatbelt to hold them into the fast-moving vehicle. While both members of the crew were fine, the scene in which they were filming essentially pitted one trucker in a situation where he had to race faster than he may have without cameras on him. It seems that capturing footage for the sake of entertainment mat have proved to be more dangerous than simply capturing a candid moment on the road. In later seasons, driver Lisa Kelly became a staple of the show, serving as arguably the most popular female driver on the program. Lisa’s burgeoning screen time on Ice Road Truckers proved her acclaim from fans, but also saw her get in one of the riskiest situations in the history of the show. 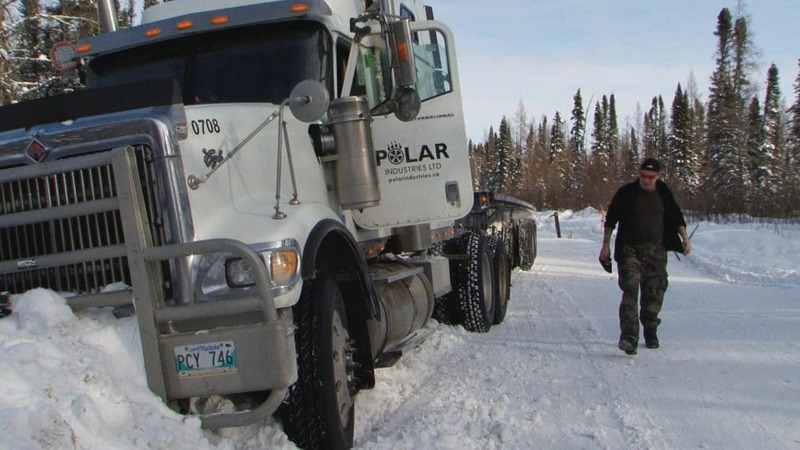 Trucking through her route on the Dalton Highway, Lisa gets stuck on the ice, requesting help from late driver Darrell Ward to use a loader in push the rig into a more secure area. As the two push Kelley’s rig, however, it nearly falls through the thin layer of ice, taking both trucks down into the icy waters. Of course, danger is to be expected frequently for these drivers, as the camera is only able to capture a certain amount of reality despite chronicling a reality program. Ice road truckers know that facing peril is just a prerequisite of the job. Are Ice Road Truckers The Best Drivers? Defining a super trucker depends on quite a few different criteria and categories within the industry. Some drivers who haul hazardous materials are categorically super truckers. Others who make local runs to ensure the neighborhood grocery store is well-stocked could be seen by many as a driver who goes above and beyond as well. Ice road truckers, just as other workers in the country who face the harsh climates to get the job done, are incredibly commendable human beings who deserve a great amount of respect and recognition for their continued efforts. There are few other occupations that require an individual to put every fiber of their being into ensuring that the job is done well. With this in mind, ice road truckers may not categorically the “best drivers” but they are certainly among the most hard-working people in the nation.